Step into a fantasy realm inspired by medieval myth or take a historical stroll through the Renaissance in full style. A perfect fit for countless roles, the Mens Handwoven Drawstring Pants are an essential addition to your wardrobe. Constructed from natural, handwoven materials, these period costume pants were sewn and stitched by hand. Black cross stitching runs along the outer seams. Drawstrings at the waist and ankles allow you to adjust the style and fit. 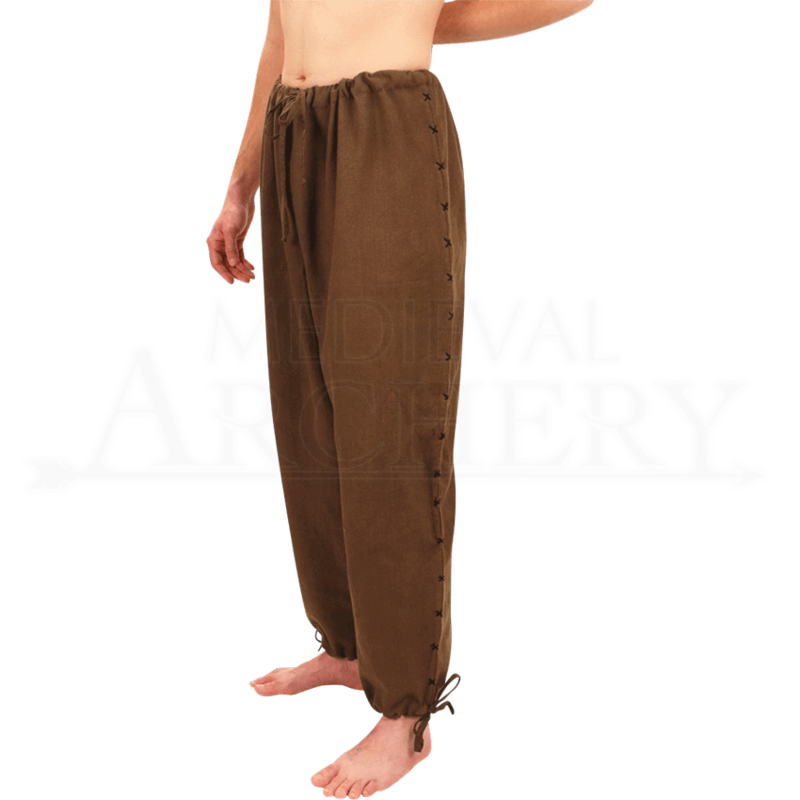 Available in several colors and sizes, the Mens Handwoven Drawstring Pants is a versatile piece for your roleplay wardrobe. The Large-X-Large size has a gusset in the crotch seam for ease of movement.